Our comprehensive product range includes a large selection of high-quality controllers and measurement devices for dedusting systems. 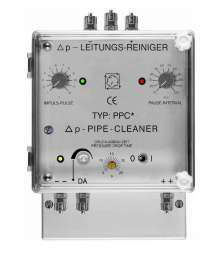 Filter valve controllers with an installed differential pressure-regulator for electrical activation of the dedusting solenoid valves enables cleaning of the filtration elements, independent of the differential pressure. 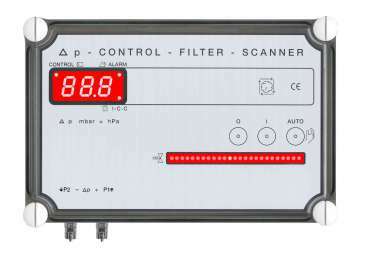 This controller monitors the differential pressure in the filter and only cleans the filtration elements when it is necessary. This procedure optimises the cleaning cycles and only regenerates the filtration elements when it is necessary. Thus, there is no "overcleaning", the load on the filter elements is minimised because of the cleaning and energy is saved. 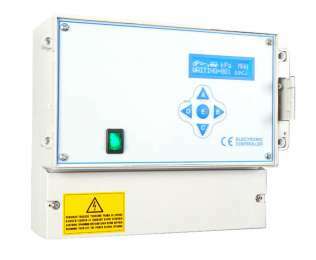 Differential pressure transmitter are used in dedusting systems to activate valve Pulse-on-Demand controller. 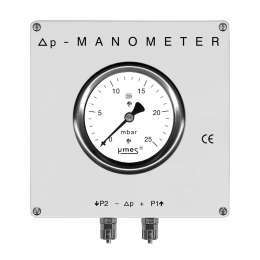 These measure the differential pressure between the clean gas and raw gas side of the filtration system. 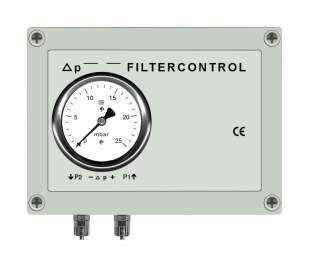 The differential pressure across the filter is connected through two pressure connections on the transmitter. A lower and upper differential pressure can be set on the transmitter. Cleaning starts when the upper differential pressure has been exceeded and is ended when it is less than the lower pressure. Our very rigidly designed transmitters are conceived for many years of reliable and continuous operation. They are designed for the sensitive measurement of a few mbar, or also available for higher ranges up to 10 bar.